Council, and much much MORE! 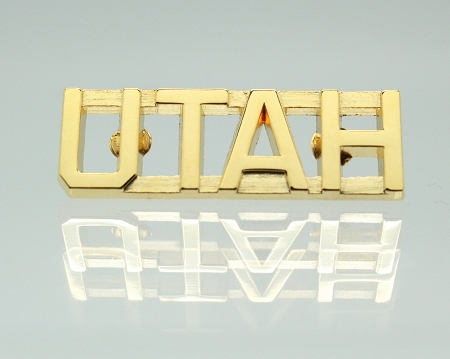 Sturdy and distinctive, this nickel plated "Utah" Sir Knight KT uniform bar will show everyone you are proud of your State. Available in other States, call or email. The bar is 1 & 1/2" wide by a 1/2" high. Copyright Lapel Pins & More, Inc.. All Rights Reserved. eCommerce Software by 3dcart.